TEXT OF SPEECH DELIVERED BY RT. 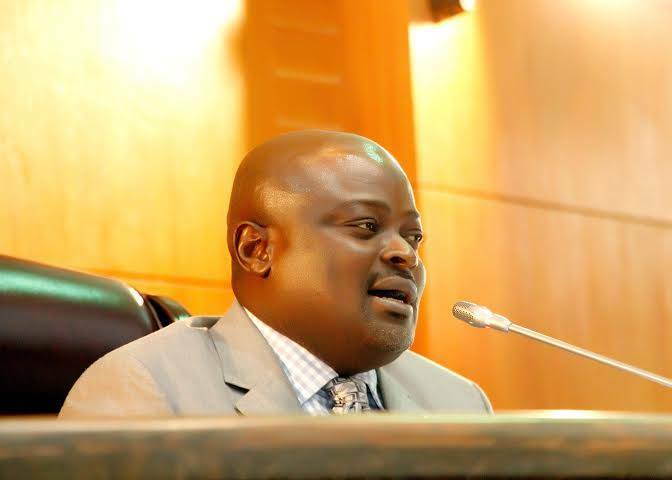 HON MUDASHIRU AJAYI OBASA, SPEAKER, LAGOS STATE HOUSE OF ASSEMBLY AT THE YEAR 2018 BUDGET PRESENTATION BY HIS EXCELLENCY, MR AKINWUNMI AMBODE, GOVERNOR OF LAGOS STATE ON MONDAY DECEMBER 11, 2017. His Excellency, Mr Akinwumi Ambode, Governor of Lagos State; the Deputy Governor, Dr Mrs Idiat Adebule; members of the State Executive Council; Chief Judge of Lagos State, Justice Olufunmilayo Opeyemi Oke; distinguished members of the National Assembly; Chairman of our pace-setting party, the All Progressives Congress (APC) at the state level, Chief Ajomale and his Executive members; leaders of our party; Chairmen of Local Government and Local Council Development Areas; our highly esteemed royal fathers here present; Captains of industry, Community leaders,; members of Diplomatic Corps; market men and women; our energetic youths; members of the 4th Estate; all invited guests present; all Lagosians; ladies and gentlemen. 1. On behalf of my colleagues and our highly dedicated staff, it is with great pleasure that I welcome all of you to the presentation of the Y2018 Budget tagged BUDGET OF PROGRESS and DEVELOPMENT by His Excellency, Mr. Akinwumi Ambode, the Executive Governor of Lagos State. Expectedly, this budget proposal marks another basic point of reference in the progressing radical transformations and change that we have been witnessing in Lagos State since the inception of this administration. 2. Distinguished ladies and gentlemen, around this time last year, His Excellency, Mr Ambode, was here to present the Y2017 Budget, itemising his projections for the outgoing year. Today, with the remarkable support of this House, we are all witnesses to the jobs done so far as regards infrastructural renewal and wealth creation. 3. The completion and commissioning of Abule-Egba and Ajah state-of-the-art flyovers, as well as the ongoing Pen Cinema flyover among other completed and ongoing infrastructural projects numerous to mention, are pointers to the success story of Mr. Akinwumi Ambode, which could not have been realised without the legislative concurrence and support of this honourable House. 4. It is imperative, therefore, for me to give all appreciations to the Almighty Allah who made all our yearnings and aspirations for the good people of Lagos in the year 2017 a reality to a reasonable extent as well as for keeping us safe till this moment. 5. With the feat achieved by Governor Ambode merely two years in office, there is no doubting the responsiveness and readiness of this noble House to continue to support the state through passage of people-oriented and development-focused legislations. We are poised to cooperate with the Executive to develop an economy that is sustainable, smart and knowledge-based, and whose commitment to law and order is unequivocal. 6. Fellow Lagosians, my dear colleagues, His Excellency, Mr Akinwunmi Ambode has just presented Year 2018 budget estimate for the consideration of your House. The projected budget size is One Trillion, Forty-six Billion, One Hundred and Twenty-one Million, One Hundred and Eighty-one Thousand, Six Hundred and Eighty naira (N1,046,121,181,680). 7. There is no gainsaying the fact that the Y2018 Budget is aimed at continuous infrastructural development to bridge infrastructural gap; transport, security and environmental reforms; capacity building for all civil and public servants, teachers and health workers; completion of housing estates; commencement of health insurance scheme among others. 8. However, this House will not rest on its oars in scrutinizing this Budget to deliver on its promises in meeting the aspirations of the people. As usual, we are dutybound to painstakingly look at the nitty-gritty of the budget for the purpose of transforming same for the benefits of all Lagosians. 9. I assure you that this House, through effective oversight, will ensure that the Year 2018 budget deliver on its promises to stimulate the economy of the state by focusing on infrastructure development, delivering inclusive growth and prioritizing the welfare of Lagosians towards making the budget spell out its theme to the letter. 10. It is, however, worthy of note to praise Lagosians for their prompt response to our policies and the payment of their taxes. On this note, I urge those who still fail in this constitutional obligation of tax payment to make adjustments. Without tax, there will be no Lagos of our dream. 11. Distinguished Lagosians, ladies and gentlemen, when I assumed the speakership of this House on June 8, 2015, I pledged to lead an Assembly that would make and sustain positive impacts on the lives of Lagosians while giving separation of power its true colour. Evidence of this could be seen in the recent exchange of baton in the Judiciary, with the appointment of the new Chief Judge, Justice Olufunmilayo Opeyemi Oke. This shows the kind of cooperation that exists among the three arms of government in the state. 12. May I employ this opportunity then to call on the Executive to see all the three arms of government as one as it is obvious that working as a team will ensure prompt service delivery. Working together, as we can see in the last two years, brings smooth effective administration. This is rightly put by Prof Ola Rotimi in his play Ovonramwen Nogbaisi and I quote: “the eyes and the nose are one; when one is hurt, the other shed tears”. 13. At the same time, may I use this medium to salute and commend our party excos at the Local Government level for their outstanding performance in the last Local Government elections across the state as well as all Lagosians for their unalloyed support given to us by throwing their weight behind us in voting enmasse for our party, the All Progressive Congress. This led to us winning all the Local Governments in the state. 14. Distinguished guests, permit me to commend our dear governor, Mr Akinwumi Ambode for his magnanimity and wisdom in handling the issue related to the recent various Local Government appointments. We also commend our National Leader, Asiwaju Bola Ahmed Tinubu for his fatherly role in ensuring peace and tranquillity in our dear party, APC and also among party faithful. 15. Ladies and gentlemen, may I use this medium, however, to laud our party at the national level for its resoluteness and doggedness in addressing the ongoing constitutional amendment. As such, we will like to commend all the governors from the southern part of Nigeria who resolved in their last meeting in Lagos to support devolution of power and restructuring. Ditto for the southern senators for drumming support for this same course. 16. Without mincing words, ladies and gentlemen, those who are asking for definition of restructuring are just being unfair and unfaithful. I am using this medium, therefore, to emphasise and assert that we at the Lagos State House of Assembly strongly stand for restructuring and devolution of power. 17. Once again, I thank you all for coming and wish us all a fruitful and progressive Y2018. Distinguished gentlemen of the Press and members of the Civil Society Organizations, it gives me great joy to address you today on how the 8th Assembly of Lagos State House of Assembly fared in its second session. Looking back at our achievements in the last session of this Assembly, I cannot but give thanks to the Almighty Allah and entire Lagosians whose love and support have been resoundingly inspiring. The task has been very challenging, but my colleagues, management and staff of this Honourable House have shown avowed commitment towards retaining the pride of the House as the best in the country through positive and tireless disposition to plenary and committee activities. Distinguished guests, it is common knowledge that Lagos State House of Assembly prides itself as the best in the country. No doubt, this is what birthed its slogan: “above the common standard of excellence”. 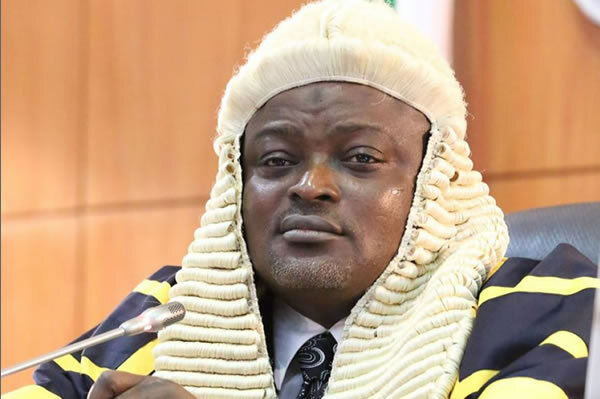 As it is expected, this claim puts a burden of high expectation on the assembly to live up to this standard, particularly the 8th Assembly to retain the status of Lagos among the comity of state houses of assembly in the country. You will recall that about a year ago, we were all here like this, when I shared with us the achievements of this house within its first year of administration. A year after, we have not rested on our oars in making sure that dividends of democracy get to our dear electorates without any delay. For the purpose of record, it is gratifying to note that this House passed eight bills into laws in the second session while 72 resolutions have been made; other bills are at various stages of passage, one of which is the bill targeted at tackling cancer in our society. These resolutions and laws are those that border on the welfare of the people living in Lagos, which have had direct impact on them. For the record, I will like to emphasise some of these laws and resolutions. The Neighbourhood Watch Law of 1996 was repealed by the House of Assembly in the second session and signed into law as Lagos State Neighbourhood Safety Corps Law (2016). The aim of this law is to ensure that emerging highbrow crimes like killings by herdsmen, kidnapping, ritual killings and terrorism do not take root in Lagos State. Its corps was launched early this year. Also, the house made the much-talked Lagos State Properties Protection Law (2016) within the last one year, which is meant to prohibit forceful entry and illegal occupation of landed properties in the state. The law provides for prohibition of forceful land take over, entry by force, illegal occupation of property, use of land agents, illegal use of law enforcement agents, encroaching with a weapon, sales of property without authority and professional misconduct among others by the “omo oniles” (land grabbers) with their attendant punishments as regards the particular offence. Similarly, in a bid to curb the rising wave of kidnappings in the state, the Lagos State House of Assembly passed into law the Kidnapping Prohibition Bill (2016), which is now Lagos Kidnapping Prohibition Law (2017). The Environmental Management and Protection Bill (2017) too has been signed into law by our governor, Mr Akinwunmi Ambode towards the proper and total sanitisation of Lagos environs and also to adapt and mitigate the challenges posed by climate change to the state. More so, this House is amending the Public Office Holder (Payment of Pension) Law. This amendment is a private member’s bill and is titled Public Office Holders (Payment of Pensions) Amendment Bill, 2016. The Bill has been read first time and awaiting second reading. The intendment of this bill is to save tax payers money while addressing the cost implication of some parts of the law. For instance, the law allows governors and the deputy to have a house each in Lagos and Abuja while both governor and the deputy are also entitled to 6 and 5 vehicles respectively. But with this amendment, both governor and the deputy will be limited to a house in Lagos where they served as well as have 3 and 2 vehicles respectively. At the same time, the amendment is targeted at avoiding undermining the legislature and not giving the executive undue advantage, which could cause unnecessary rancour while safeguarding separation of power. As such, it seeks to accord due recognition to the legislature, which is the symbol of democracy in the state, by allowing the speaker and the deputy speaker benefit in the payment of pension. In the same vein, some of the resolutions made by the present assembly are Call for the Amendment of All Tertiary Institution Laws in Lagos State; Menace of Traffic in Lagos; Need to Ensure Quality Control of Manufactured and Imported Products in Nigeria; Call to Check Harmful Activities of Faceless Recruitment Organisations and among others. No doubt, the impacts of the resolutions have brought new lease of life to the good people of Lagos State. Evidently, through all these efforts of ours as parliamentarians, Lagosians have benefited immensely from the dividends of democracy. Of course, we shall not rest on our oars in meeting their diverse needs. As part of my 10-point agenda, we have organised the second constituency stakeholders’ meetings simultaneously in all the 40 constituencies of the state. At the same, we have not failed in holding the MDAs to account through intensive and effective oversight activities, and in responding earnestly to the petitions by Lagosians through appropriate Standing or ad hoc committee. Apart from this, we have not relented in organising training programmes for lawmakers and staff, a factor that has improved them in no small measure. As promised at the last forum, today, I am delighted to inform you that this House now livestreams its proceedings, being the first State House of Assembly to do so in the entire Africa. Distinguished guests, in line with the success of this administration, which is pivoted on our party, the All Progressives Congress (APC), seven out of the eight members from the opposition party, Peoples Democratic Party (PDP) of this assembly have defected to our party, APC. This assembly was also, for the first time in the history of assemblies in Nigeria, visited by the Imperial majesty, the Ooni of Ife, Oba Adeyeye Enitan Ogunwusi (Ojaja II) and his entourage earlier this year. The courtesy visit was borne out of the good news that the Oba heard about our stupendous and exceptional achievements as a house of assembly. Gentlemen of the press and members of the civil society organisations, we cannot exhaust the details of our achievements so far. You all and Lagosians have been part of our success story and I enjoin you to make useful contributions towards the realization of our dreams for greater Lagos state. However, it will be uncharitable not to mention the roles played by the Press and the Civil Society Organizations as catalysts for good governance in any democratic environment. Indisputably, civil society groups are agents of development in any nation. CSOs play important role in social, political and economic development activities through constructive debate and criticism. 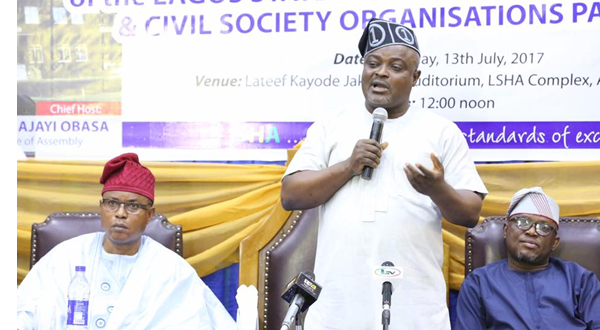 The transformation of any society or system, particularly the developing societies like Nigeria depend on the effectiveness and efficiency of its civil society organisations. In the same vein, the Press, popularly known as Fourth Estate of the realm, in Nigeria have significantly contributed to democratic sustenance in the country and particularly in Lagos State through stimulating and reliable reportage. However, I charge you all not to rest on your oars. I encourage both the media and CSOs to continue partnering with the government and this House in delivering the dividends of democracy to Lagosians. Your advocacy plays a valuable role in our commitment to maintaining the pride of Lagos state as a pacesetter. Our job as a parliament is to help coordinate all efforts and ideas from all and sundry for the good of all Lagosians through existing legislation and public policy. Nevertheless, may I use this medium to implore both the CSOs and media to rise in safeguarding the legislature. 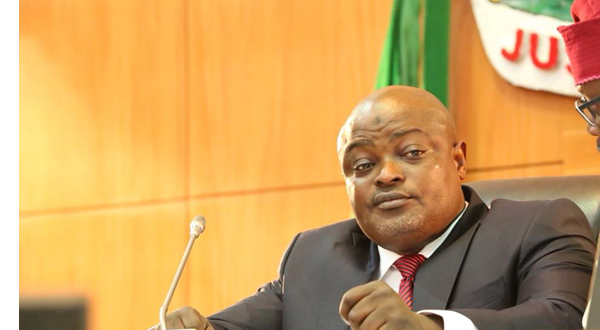 Recently, about 6 speakers of states house of assembly have been removed, which was not without the involvement of the governors in the affected states. For us to sustain our democracy, we must protect our institutions, most especially the parliament at the state level. You must see it as an obligation to protect our democracy so that your efforts will not be in vain. Ladies and gentlemen, I likewise salute the efforts of the Lagos State House of Assembly Correspondents’ Association (LAHACA), which has been part of the success story of this House. While we appreciate your contributions all to the development and growth of the society, we are appealing to you to be constructive in your criticisms and, of course, magnanimous with your praises. Once again, I welcome you to this forum and thank you all for your listening pleasure. Itesiwaju ipinle Eko, lo je wa l’ogun. His Excellency, Mr Akinwumi Ambode, Governor of Lagos State; our highly esteemed royal fathers here present, distinguished members of the National Assembly, members of the State Executive Council, Captains of industry, leaders of our pace-setting party, the All Progressives Congress (APC), Community leaders, Sole Administrators of Local Government and Local Council Development Areas; members of Diplomatic Corps; market men and women; our energetic youths; members of the 4th Estate of the Realm; all Lagosians; ladies and gentlemen. 1. It is with a lot of pleasure and pride in my heart that I welcome you all to the presentation of the Y2017 Budget themed BUDGET OF GOLDEN JUBILEE by His Excellency, Mr. Akinwumi Ambode, the Executive Governor of Lagos State. No doubt, this presentation marks another critical milestone in the ongoing radical renewal and transformation of Lagos State. 2. First, let me give great thanks to the Almighty Allah for seeing us this far during the year 2016. 3. Distinguished ladies and gentlemen, you will recall that around this time last year, His Excellency, Mr Ambode, was here to present the Y2016 Budget, where he revealed to us all his projections for this year. A year after, however, almost everything that was mentioned in the budget has been carried out to the letter. 4. Eminent Lagosians, ladies and gentlemen, despite the very turbulent economic environment we found ourselves during the year under review such as depreciating trend of the value of the Naira against our reserve currency, the United States Dollar, the high cost of funds represented by growing interest and borrowing rates, economic recession that bedevilled us as a nation, increases to the pump prices of petrol, inflation and the likes, it is gratifying to note that this administration has endeavoured to remain realistic, unperturbed and responsive to the dynamics that suddenly changed without affecting all the plans for the year. 5. A number of life changing projects such as the Light up Lagos Project, constructions and rehabilitations of roads in all the LGs and LCDAs in the state, Marina-Ikoyi-Lekki Monorail, Lagos Medical Park, 8-lane Ikorodu-Epe road, and the ongoing construction of the state-of-the-art Flyovers at Abule Egba, Berger and Ajah as well as that of the Pen Cinema in Agege, which will soon take off, among others, are pointers to the success story of Mr. Akinwumi Ambode, which were all properly spelt out in the Y2016 budget that this House appropriated. 6. Ladies and gentlemen, when I assumed the speakership of this House about eighteen months ago, I promised to lead an Assembly that would make and sustain positive impacts on the lives of Lagosians. As a team, we promised to live up to the expectations of the teeming Lagosians by enacting Laws that would aid socio-economic development and growth of the state. 7. In this regards, fellow Lagosians, since the inception of the 8th Legislative Assembly, your House of Assembly has made immense contributions through legislations and resolutions that are geared towards legal backing for policies, programmes and other activities of the Government as well as to aid development in all the 57 Councils of the state. 8. With the feat achieved by Governor Ambode in the last one year, there is no doubting the responsiveness and readiness of this noble House to pass pro-people and pro-development legislations. The supportive role played by this honourable House has contributed in no small measure to the creditable performance of Mr. Governor in the outgoing year, much to the admiration of Lagosians. 9. Among the laws passed by this Assembly over the course of this year, which are in line with the Y2016 Budget, are the Lagos State Neighbourhood Safety Corps Law (2016), and the much-touted Lagos State Properties Protection Law (2016). While the Neighbourhood law is a direct response to the security challenges in the state such as kidnappings and the likes, which culminated in the inauguration of the Board of Neighbourhood Safety Corps Agency, the Properties Law is meant to drive investment in the state. More so, this House is equally considering a bill on criminalising kidnapping in the state; the bill is at the committee stage. 10. May I further add that this Assembly has also approved two regulations which are Stamp Duties Regulations (2016) and Lagos State Employment Trust Fund Operating Regulations (2016). 11. Fellow Lagosians, my dear colleagues, His Excellency, Mr Akinwunmi Ambode has just presented Year 2017 budget estimate for the consideration of your House. The projected budget size is Eight Hundred and Twelve Billion, Nine Hundred and Ninety-Eight Million Naira (N812, 998,000,000). 12. It is crystal clear that the Y2017 Budget is aimed at massive investments in Security, Transport/traffic management, Tourism, Education, Health and Infrastructure (social and physical), to consolidate and improve on the Y2016 Budget and ensure delivery of democratic dividends to the citizenry at a time of recession. 13. I will like to add here too that the reports of our last stakeholders’ meetings have been submitted to the Governor. It is expected that the outcome of the constituency meetings has been factored in this budget and will be implemented accordingly. 14. As usual, we shall not fail in our duties to painstakingly look at the nitty-gritty of this budget for the purpose of transforming same for the benefits of all Lagosians. I assure you that this House, through effective oversight, will ensure that the Year 2017 budget delivers on its promises to stimulate the economy of the state by focusing on infrastructure development, delivering inclusive growth and prioritizing the welfare of Lagosians. 15. Therefore, I enjoin all the Ministries, Departments and Agencies (MDAs) to furnish the committees of the House necessary documents that will aid speedy and fruitful passage of the budget. And may I further remind us that our duty to perform oversight function on MDAs is enshrined in Section 128 of the 1999 Constitution (As amended). As such, the cooperation, without any reservation, of all the MDAs is highly needed while we are at work. 16. Distinguished guests, ladies and gentlemen, as you all know, our state Lagos, the Centre of Excellence, has continued to be seen both within and outside our country as the very place where good governance is the norm, which readily explains why our state is home to all Nigerians, having attained the enviable status of a mega city. It is on this note, therefore, that I urge the National Assembly to reconsider the special status we demand. 17. In view of the importance and significance of Nigeria and its population in African economy and that of Lagos State in Nigerian economy, coupled with the fact that the state is recognised as the fifth largest economy in Africa, there is no doubt that Lagos State alone can bring about the economic recovery of this nation, thereby pulling us out of the present economic recession we find ourselves. Hence, I cannot but appeal to the Senate to reconsider their stance on our issue of special status. 18. Dear Lagosians, distinguished guests, ladies and gentlemen, as we struggle to bring an end to the challenges of recessions and the likes, may I let us know that it is our duty to see to the welfare of our neighbours by reaching out to the less privileged in our society. We can do this by making it a habit of providing a meal per day to the needy around us. This is an initiative of mine that I plan to do in my community. I likewise encourage us to emulate same. Once again, I thank you all for coming and wish us a fruitful Y2017. Itesiwaju Ipinle Eko, loje walogun. Before anything at all, we give praise and adoration to the almighty Allah, the giver and taker of life, the One who reverses the irreversible; for giving us the opportunity to witness this significant budget presentation. I am delighted to welcome you to this 8th Assembly, His Excellency Mr Akinwumi Ambode, the Governor of Lagos State and his amiable wife; His Excellency Alhaji Lateeef Kayode Jakande; Former Speakers of our House here present; distinguished members of the National Assembly; Members of the State Executive Council; the Head of Service and through him to all members of the body of Permanent Secretaries here present; Spouses of Members of Lagos State House of Assembly; Chairman and Members of LAHASCOM; our Traditional Rulers; Obas and Chiefs; our Spiritual Leaders; our highly esteemed royal fathers here present; Captains of Industry; Leaders of our pace-setting party, the All Progressives Congress (APC) and Elders; members of Diplomatic Communities; Community Leaders, market men and women, our energetic youths, all Lagosians and members of the 4th Estate of the Realm. I thank you all. Ladies and Gentlemen, on behalf of my colleagues and our highly dedicated staff, it gives me a great pleasure to heartily welcome you all to this occasion of the formal presentation of the year 2016 budget to your House of Assembly, Nigeria’s leading legislative House, by His Excellency, Mr. Akinwunmi Ambode, the Governor of Lagos State. As you all know, our state of Lagos, the Centre of Excellence, has continued to be seen both within and outside our country as the very place where good governance is the norm, which readily explains why our state is home to all Nigerians, having attained the enviable status of a mega city. It is for instance on the record today that even leading members of opposition parties in our country readily attest to the fact that our dear State remains the positive response point when good governance is being discussed. This assertion was even recently confirmed by the Civil Resource Development Documentation Centre (CIRDDOC), an independent, non-governmental and not-for-profit organisation, whose launching of the 2015 National Budget Transparency Survey declared Lagos State as the third most transparent state in Nigeria in the area of budget performance and transparency. The reason, however, is not far to seek. Here in Lagos State, the three tiers of government: the Legislature, Executive and Judiciary have always been striving to put our people first in all that we do. This House of Assembly comprises industrious, brilliant and diligent men and women who are making a difference in their various constituencies. Despite their distinct status, these government institutions have continued to regularly collaborate to deliver the dividend of democracy and the very best for our dear state and the people. It is however pertinent to note that the very cordial relationship existing between this Legislative House and the Executive has not stopped us from performing our constitutionally assigned roles of exercising control over the state’s purse. This has obviously resulted in the First Class position that our dear state has attained in our country today, which makes Lagos the symbol of good governance. You will all agree with me that the responsiveness and readiness of this honourable House to pass pro-people and pro-development legislations is rightly on the course in giving Mr. Governor the much needed enabling environment to perform creditably well to the admiration of our people. This indeed is the confirmation that ‘‘behind every successful man there is a woman;’’ which in this case can be rewritten as: behind every performing Governor there is a pro-active, pro-people and pro-development House of Assembly. The recent commissioning and handing over of patrol vehicles, motorcycles, Armoured Personnel Carriers (APCs), gunboats and helicopters to the Nigerian Police and the Rapid Response Squad (RRS), to combat crime in the state among other things is a pointer to this affirmation. Without much ado, the commissioning, is believed, would attract more investors to the state, since a crime free state is expected to put the minds of the investors at rest as far as safety is concerned. Your Excellency, Mr. Akinwunmi Ambode, I commend you for being astute, courageous, insightful, forthright, thorough, and determined. You have really displayed, during your few months in office, that you are capable to maintain a track record of resourceful consistency, which has been obvious for the last sixteen and a half years; you are truly a unique breed and first among equals. Mr. Governor, on behalf of other Honourable members, myself and the staff, I appreciate you for always giving us all the necessary supports as most of our resolutions are treated with immediate positive response. We appreciate the promptness with which you execute our resolutions particularly the issue of the dissolution of the Judicial Service Commission, the recent purchase of security equipment and more importantly the proposed construction of a FLYOVER at PEN CINEMA in AGEGE. The immediate embedment of these projects in the reordering of 2015 budget is a testimony of your desire to give the people necessary infrastructure which will engender socio-economic growth. Let me therefore assure all Lagosians that the Lagos State House of Assembly shall continue to promote the best practices in the governance of our dear state. You can rest assured that all Hon. Members of this Assembly shall continue to put you – our people – first in all that we do. Ladies and gentlemen, we have all listened with rapt attention to how the wealth of our state will be utilized for our common good in year 2016; the responsibility is now on the members of this Honourable House to do the needful; and I assure you that we will meticulously perform our constitutional duty. However, permit me to remind this gathering that the matter of budget presentation is essential. Beyond its constitutional stipulation, it requires the backing of law to make it implementable and executable; without which it becomes an offence punishable under law. The above claim is stipulated in Section 121 (1) of the 1999 Constitution of the Federal Republic of Nigeria, as amended in 2011, which states that, “The Governor shall cause to be prepared and laid before the House of Assembly at any time before the commencement of each financial year estimates of the revenues and expenditure of the State for the next following financial year”. This, no doubt, is necessary to obtain Legislative consent or approval for the amount of money to be spent on specific items in the coming financial year. The 2016 Appropriation Bill is significant in that it is the first budget proposal to be presented by Governor Akinwunmi Ambode; it is also the first I will be receiving as Speaker of this House, the foremost House of Assembly in Nigeria. For this singular reason, we are all hopeful and expectant that this coming year will witness more of democracy dividends for betterment of Lagos and Lagosians. Your Excellency, ladies and gentlemen, as the head of an institution that is closest to the grassroots; I must confess, some of our people still live in abject poverty. In treating this budget, we will not forget that we are trustees for the people. A lot has indeed been done in the area of job creation and economic empowerment of Lagosians. But there is a dire need to create more opportunities for our people; more jobs will definitely lead to greater economic growth. Be that as it may, we will like to call the attention of our governor to the situation of traffic jam in the state, which I believe the governor is so much aware of and has taken steps in managing since his resumption in office. Though this may not be our own doing, it is an inherited circumstance, we must continue to proffer lasting solutions to it. It is our thought that addressing the issue of traffic in this state will further simplify life for commuters and engender economic growth. We need not be reminded that easy movement of people and goods is essential and important to the economy of a state. Therefore, we must continue to forge ahead. Apparently, the establishment of BRT lane, LAGBUS was to boost economy of the state. BRT is a transport option, which relies on the use of dedicated ‘interference’ free segregated lanes to guarantee fast and reliable bus travel. It is a high performance public transport bus service which aims to combine bus lanes with high-quality bus stations. The system also aims at encouraging motorists to park their vehicles at home and make use of public transport with the hope to free our roads from traffic congestion, which will reduce cost of transportation, pollution and wasted manpower on the road. Our focus, of course, is to make BRT/LAGBUS a convenient mode of transportation for the haves and have-nots as it is being witnessed most especially in the UK. It is one of the several options available for tackling the huge public transport predicaments of Lagos. We believe that successful means of transportation not only benefits the people but also increases the state revenue, enhances employment opportunity, improves health system as well as helps standard of living. Nevertheless, Mr. Governor, a lot still needs to be done in making sure all these projections are achieved. In line with this, we of the Lagos State House of Assembly are ready all the time to support and cooperate with you in the interest of our state to ensure infrastructural and economic development. Good people of Lagos State, you will recall that some weeks ago, town hall meetings were organised by the House in all the forty constituencies in the state for all its lawmakers not only to update their constituents on their various achievements since June when the eighth assembly commenced, but also to feel their pulse, seek their suggestions and know their opinions on how they are being governed. The town hall meetings indeed gave us an opportunity to listen to the challenges of our constituents and make same available to the executive arm of government as areas of focus for the 2016 budget. This was one of our promises during electioneering and you can rest assured that all other promises will be addressed to the letter, while the issue raised during this exercise will be promptly addressed in the new fiscal year. The report of the town hall meeting will be presented to His Excellency before the closure of this ceremony. However, I will like to congratulate our pace-setting party, APC, on the success recorded in the last general election. Indeed, it was a battle deservedly won on all fronts. The landslide victories recorded nationwide have proved to all and sundry that our great party has come to stay. Meanwhile, our manifestoes still remain the same, and the focus is still targeted at making life better for all. As such, we assure the good people of Lagos State that this current government will work assiduously in conjunction with the party by executing its manifestoes in ensuring that dividends of democracy are evenly and judiciously distributed. Notwithstanding, dear colleagues, the recent victories achieved should not be taken for granted. As the saying goes: “to whom much is given, much is expected”. Our people expect much from us in this “change” era in return for the trust they already reposed in us. As such, I charge you to keep the vision aflame; we have set a standard, and it must be sustained. The wellbeing of Lagosians should always be our priority while the long-term prosperity of this state must remain our focus. Besides, we should not forget that public office is a privilege. As lawmakers, our duties are well spelt out; it is our responsibility to represent those who do not have voices of their own and recognize the interests of others; we must always consider the consequences of our actions and also ensure that our work is geared towards bringing about positive CHANGE. Let me particularly thank our party leadership starting from our Governor Emeritus, Asiwaju of Nigeria, His Excellency, ASIWAJU BOLA AHMED TINUBU, a discerning, financially ingenious, reliable and able leader who kept our state going even when the Federal Government deliberately and illegally starved our treasury then. His brilliance also has eventually made it possible for us to have a Federal Government that shares the same progressive mind with us in this side of the country. In this same vein, I also congratulate members of the G16, all party leaders and most especially our party chairman, Chief Henry Oladele Ajomale whose penchant for winning hard-fought battles such as battle of “capture”, battle of “do-or-die”, and the last one which was battle of dollars orchestrated by various PDP administrations at the federal level, now gives him a new name of “Mr. Victor”. However, in appreciating past deeds, posterity will not forgive me if I fail to mention the first Civilian Governor of Lagos State, Alhaji Lateef Jakande, the man who set the pace for all the governors that have emerged since he first governed Lagos. Indisputably, his foundation then has been what others have been building on, which gives us today an enviable Lagos as well as the light that glorifies Nigeria. As I conclude, I implore us to give every support needed for this administration both at the state and federal levels. Our party preached “change” during electioneering. Nevertheless, to bring about this change, we have our roles to play. In the words of President Barack Obama, “Change will not come if we wait for some other person, or if we wait for some other time. We are the ones we’ve been waiting for. We are the change that we seek.” Let’s make our diversity the strength of our federation. As for me, I will never sit on the fence when the battle is to ensure that good governance works in the genuine interest of the people. Ladies and Gentlemen, I will not relent in my agitation for quality education; because in this lies all the ingredients of developmental strides known to man. Let me therefore at this juncture assure Mr. Governor and all our people that my colleagues and I shall promptly and diligently commence work on the year 2016 budget just presented to this Honourable House and will ensure that Lagos State occupies the enviable position that has always been reserved for us. We will work diligently for the early passage of the budget so that developmental work can start in earnest in the state. Simply put, our intention is to make this budget a special New Year gift to the people of this great state. I wish you all merry Christmas and happy new Year in advance. Long live Nigeria. Long live our dear state of Lagos. Long live the Lagos State House of Assembly. Itesiwaju ilu Eko, lo je wa logun. I thank you all for listening. It is time now to make a formal presentation of the report of the town hall meeting to His Excellency.